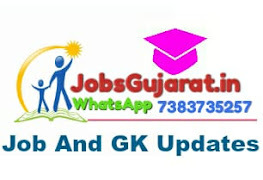 The Gujarat Electricity Regulatory Commission (GERC) published an advertisement for recruitment for Independent Members Post.This is a great chance for interested candidates who are looking for GERC Jobs 2018.The candidates can apply for the desired post in the prescribed format on or before 16-10-2018 .Candidate is advised to visit official notification before applying for this post.To know further details in below given official notification. How to Apply ? Interested & eligible candidate can send their application at the following address on or before 16-10-2018. Send your application to given address: Gujarat Electricity Regulatory Commission 6th Floor, GIFT ONE,Road 5C, Zone 5,GIFT City,Gandhinagar – 382355,Gujarat, India.